World Translation Center offers professional Georgian translation services for English to Georgian and Georgian to English. We can also translate Georgian to and from over 150 other languages, including all the principal languages of Europe, Asia, South America, the Middle East and a variety of African languages, at competitive rates. Our Georgian experts have the ability to provide translation for virtually any project you might have, including marketing materials, technical, financial, legal and medical documents, websites and software. Our skilled project managers will match your project with a translator team most appropriate for the area of expertise needed. Each individual linguist works exclusively in his or her own mother tongue and within his or her field of expertise guaranteeing not only quality translation, but proper localization at the same time. After each document is translated, it will be edited and proofread by a second professional translator to assure highest possible quality. We also render transcription, video recording and subtitling services. Should you need to have an existing video dubbed, a commercial narrated or a telephone system recorded, our native Georgian speakers are available to provide you with expert voiceover services. 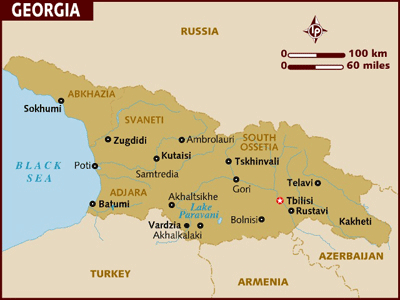 Georgian is the official language of Georgia. It is a Kartvelian or South Caucasian language spoken by over four million people. It is also spoken in neighboring countries, where Georgians live. Georgian has a number of regional dialects, which are usually mutually intelligible. The Georgian grammar is very difficult as it has seven cases, declining nouns, adjectives, and pronouns. Georgian uses postpositions in place of the English prepositions, but no articles. 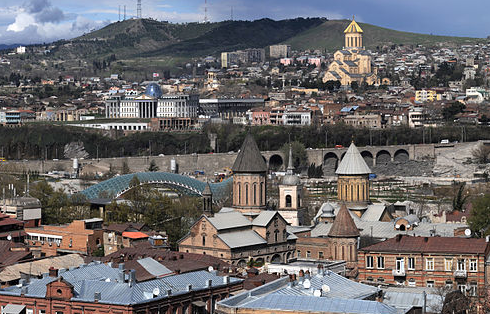 Georgian does not distinguish between gender, between 'he/him', 'she/her' or �it�. The Georgian verb is also very complex. The familiar tenses, past, present, future, etc., are replaced by what are known as 'screeves', which refer to a combination of tense, aspect and mood when describing a verbal paradigm. The Georgian counting system is based on 20, called vegesimal, with some decimal features. Numbers from 11 to 19 are formed from 1 through 9 by using the prefixing �t�. Numbers between 20 and 99 use a base-20 system: 40, 60, and 80 are formed using 2, 3, and 4 (respectively), linked to the word for 20. So, 65 = 3 x 20 plus 5. The hundreds are formed by linking 2, 3, . . ., 10 directly to the word for 100. 1,000 is not a separate primitive, but instead is expressed as 10 x 100. Multiples of 1,000 are expressed using 2 x 10 x 100 and not 20 x 100. Georgian has no symbols for numerals instead, Indic numerals (1, 2, 3, etc) are used. The Georgian alphabet, called Mkhedruli, has 33 letters. It does not have any capital and lowercase letters and is written from left to right.